Fifty years is a long time to have a career in any type of industry. However, fifty years in the cut-throat music business is a miracle unto itself. Not to mention a relevant, successful run in not only one but several fields. 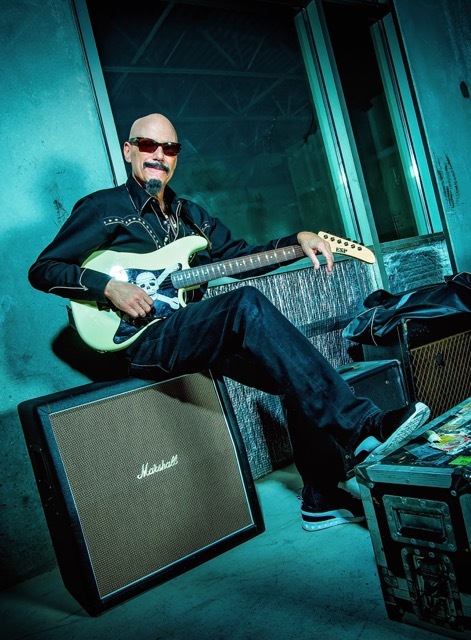 Antihero Magazine talks to Grammy Award winning guitarist / songwriter / producer extraordinaire Bob Kulick about his career in the music industry and the upcoming release of his first solo album, Skeletons in the Closet, which will be out on September 15, 2017 via Vanity Music. ANTIHERO: Regarding the concept and the idea behind the Skeletons In The Closet project, was it something that you came up with yourself or maybe it was a record label suggestion? Bob Kulick: No, it’s something I came up with myself and if you check you will see that the song exists, “Skeletons in the Closet”, so it made a good song and I thought in this case would make a good album by it. ANTIHERO: It was an unusual decision to have a mixing of new and old, rather than creating a solo album of just all new material? Bob Kulick: Well, I would have liked to have done all new material but it just seemed like it had taken so long just to do those first five songs, having these other songs which never had a proper listen, shall we say, that I thought everybody had always thought these were the nuggets from the closet so to speak. That these were the songs that were sitting there that still are really viable songs, just missed their opportunity. So, putting them on this kind of gave me a bit of a retrospective kind of record with new stuff, brand new, and some of the old stuff that people might have missed. ANTIHERO: There is quite a collection of big names on the album as well. I just wonder if these were guys that generally you’d worked with in the past? Were they all just a matter of you pick up your little black book and contacting these people easily? Bob Kulick: In some cases, yes, and in some cases no. Andrew Freeman who sang “Player” on our record, I never worked with him or met him before. He’s part of the Raiding The Rock Vault project there in Las Vegas, some of the guys that are on the record, like Robin McCauley, they are also in Rock Vault, so going to one of the shows I was able to meet Andrew Freeman and we hit it off, and then he came to the studio and sang one of my songs. So, it’s not all just people that I had worked with in the past, but a sprinkling of new people including Todd Kerns – who I hadn’t worked with before – who is the bass player in Slash’s band of late. ANTIHERO: I just wondered about the culling process, obviously all these other players are busy guys, was it recorded old school with you jamming in the studio or was it a case of swapping music files via the Internet? 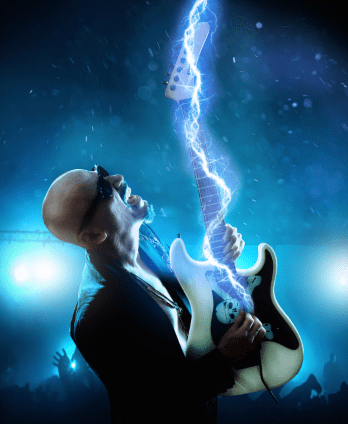 Bob Kulick: No, I was able to write these new songs with my old Balance bandmate Doug Katsaros, and we demoed up so we had a really decent recording, and he is a good singer, so he sang. So basically, we got the guys in to re-record the tracks and then had the singer show up and sing. So, while it may have been done piecemeal, it was still done, for the most part, without sending out files. ANTIHERO: Regarding specifically the older songs that are on the album, was the selection of those pretty easy? Because I’m sure, to be fair, you’ve been in the music business a fair while, I’m sure you had a whole bunch of additional material that you could also have included. Bob Kulick: It’s true, and to that end I did have a good idea of what I wanted to use and what would fit and it was also my co-producer, Bobby Ferrari, who when I played them songs he was very particular about what was going to go on with five new songs, long songs rather. And he helped pick these songs as well. So, it wasn’t just me. It was Bobby, my co-producer. ANTIHERO: Obviously, with the amount of material that you have recorded over the years would you already have plans for a follow up release? Bob Kulick: I would love to do another recording and maybe do a whole CD next time, but probably would want maybe to try to have at least a core band and maybe then a few guests. Rather than 23 people, you know what I’m saying? So, we will see what fate has in store, but yeah, we’d love to. ANTIHERO: What about maybe material like obviously the Kiss Creatures outtakes? Do you still have those in your possession? Perhaps some outtakes from The Kiss work that you did? Bob Kulick: There are outtakes of Kiss songs that I co-wrote that are going to be on Gene Simmons’ box set. So, that’s where they are wanting to go. ANTIHERO: Just taking you back for a moment, Bob. Can you recall your first introduction to music? Maybe something that you can recall as a child, maybe on the radio? Bob Kulick: There was plenty of stuff on the radio that would be resounding and the answer to your question would be when I was a kid in school we went to see a concert at the Brooklyn Academy of Music and the orchestra played Ravel’s Bolero….that piece of music. About halfway through the piece of music I was in tears. Tears running down my face, I couldn’t understand it. All I knew was that I was affected in a way that I had never been affected before by music. And that was kind of the dawn of my realization, the first instance I could look back and go, “do you remember that day you cried for no reason? And that the music made you cry because it stirred something in your soul?” So, that was definitely a ringing a bell at that point. ANTIHERO: I believe you had an early encounter with Jimi Hendrix, as well, way back. Bob Kulick: Well, I was lucky enough to play Greenwich Village at the Cafe Wha?, this little tiny club on Bleecker Street. My baby band, Random Blues Band, we played during the day to a bunch of 16-year-olds, and at night the Cafe Wha? would have regular shows; they would have Richie Havens and the comedian Richard Pryor, Jimi Hendrix was soon headed to the Dell, he would audition one day as Jimmy James and the Blue Flames, that’s how he was billed. We got to know him and we got to hang out with him, and we all got to talk to him, and four weeks later he went and became Jimi Hendrix, and the rest is history. We were lucky enough to have those moments of being around somebody like that. ANTIHERO: Was his talent clearly evident from those early stages? Bob Kulick: It was like a spaceship had landed. And a bunch of aliens had set up the gear and next to me was Third Stone from the Sun, him doing his stuff and everybody was just like, “Oh My God!”, nobody had ever seen anything like that. Somebody who was so totally proficient and he could play with his teeth and put a guitar behind his head, between his legs, he was a conventional show off and this was better than everybody else who was really trying hard. ANTIHERO: And that actually motivated you to play guitar, I think. For a lot of people that would have put them off and made them turn to another instrument. Bob Kulick: No, it was inspiring, we were around somebody like that, that he hung out with everybody and it was a good thing. ANTIHERO: And what about growing up, obviously with your brother also being a musician as well, a guitarist, did you play together from a young age? Bob Kulick: We did. We did, once I had learned enough I started showing him and then he got a bass and we would play guitar and bass, and then he just wanted to play his guitar. And then we wound up working together in a couple of situations, including the original Meat Loaf band. ANTIHERO: Is that sibling rivalry still there to this day? Bob Kulick: Well, we are actually going to play the Kiss Cruises this year, my brother and I, so we will see if it rears its head, but no, there’s no rivalry. ANTIHERO: Again, going through your CV, it’s quite extensive. Did you ever turn your head to maybe potentially writing a book, sharing memories and recollections of your time playing with all these artists? Bob Kulick: Well, it’s funny you should mention that. I actually have 250 pages that I have written and that book’s Deborah Robinson who actually works in the UK, she sort of did my inspiration tag trying to get this thing done. So, I have 250 pages she is putting in help and I will play with another 50/75 pages it will be all wrapped up and ready to go, so yeah, I have that and remembered a lot of these stories. ANTIHERO: I was actually quite surprised at both yourself and other well-established artists who have recorded a series of tribute albums. I just wondered what is the reason behind those?Is it just simply a case of it being for fun? As I am quite sure that it is certainly not for financial reasons. Bob Kulick: For me it was fun, for me it was a chance to put musicians together who never played together. And in some cases, taking sets of musicians and putting them together. But for instance, the Christmas record We Wish You a Metal Xmas and a Headbanging New Year, being able to have Lemmy, Billy Gibbons and Dave Grohl on the same track, well who could argue with that? ANTIHERO: Which out of all the artists and bands that you’ve work with, which one did you find personally challenged you the most as a player? Bob Kulick: I think probably KISS was very challenging because Gene and Paul both had to be pleased. And so, they had a unique relationship and it’s a great working relationship and they shared the duties as they did when I worked with them producing especially the solos. So, it was difficult trying to please both, but the results were there to be heard and then be happier with the fact that people still ask for those solos, and I’m probably going to do a couple of those songs on the cruise as well. So, people will be hearing that again, me playing all the things that I did with them. I guess the other one was W.A.S.P., Blackie was intense to work with. That also became effort. ANTIHERO: You’ve done some production work as well. What gives you a greater sense of personal satisfaction, playing yourself or actually producing other artists? Bob Kulick: They’re both equal, to produce something like the Spongebob songs, we’d pick thirty songs, that have that beat, something special. The theme I did for Triple H with Motorhead had to be something special as a song, “Whiplash”, and won the Grammy. Whether I played on these or wrote them or produced them, the thrill was the same. ANTIHERO: I also thought as well, would you not prefer maybe professional stability, i.e. staying with a band for a long period, or do you just prefer having to create a freedom to work and do what exactly you want? Bob Kulick: I basically just go the way the wind is blowing. So, the Meatloaf gig might have gone on for longer, but it didn’t. I wanted to stop doing that so I could do Paul Stanley stuff, and then taking over a studio. But I’m a full-time producer really. None of it was premeditated at all, just as what happened. ANTIHERO: Returning to the album, I just wondered if you had any plans to go out and visit these songs on the world stage? You mentioned the cruise, do you have any other sort of tour dates lined up? Bob Kulick: Well, we are going to. Brent Fitz and Todd Kerns have been playing with my brother on the cruise, and I have been playing with them. They are both on the record and we have actually been rehearsing, and speaking to some agents, and we will see what comes of it. I would like to go out and play songs, so we will see what happens, yeah. 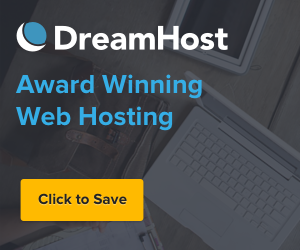 ANTIHERO: What about your own musical legacy? How do you view it? You must have an intense sense of pride for what you’ve created in all those years. 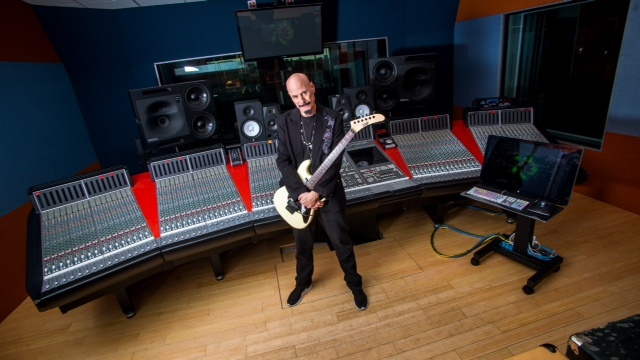 Bob Kulick: I feel blessed that I was given the opportunity to play with so many great people and I feel having this record at least has gotten that monkey off my back, of never having a record that just had my name, and with the twenty-three artists on there I feel like I had a great band with me. ANTIHERO: You’ve done, I’m sure, many, many interviews over the years yourself but who would you personally like to sit down and interview? Bob Kulick: Well, I would say that Paul McCartney or Ringo Starr would probably be two people to me that really, I would want to talk to. Their wealth of experience and what they’ve done in their lives, it’s beyond the scope of what most musicians can even dream of, so they would be of interest. ANTIHERO: Bob, thank you very much for giving me the opportunity to chat to you. Good luck with the album and I’m really looking forward reading that book one day. Bob Kulick: I really appreciate it. Mark, great talking to you, you take care.